OFC hosts two tournaments a year, a sanctioned US Fencing event, Fall Steel, and an unsanctioned novice event, Spring Steel. Spring Steel does not require a competitive US Fencing membership, whereas Fall Steel does require the membership in order to award ratings. Fall Steel is our annual rated event, currently held as a D & Under tournament. This is a great chance for newer fencers to get their feet wet with competitive fencing verse evenly matched opponents. This event is open to any competitive fencing member age 13 & up that hold a US Fencing "D" rating or below. Fall steel follows the standard US Fencing tournament format, with one round of pools 100% promoted to one round of direct eliminations. All US Fencing rules are applied. We start out with a round of Pool bouts. We will split fencers up first by age into corresponding youth and adult groups. These groups may include Y10 (10 & Under), Y12, Y14, Cadet (17 & Under) and Senior (13 and older). 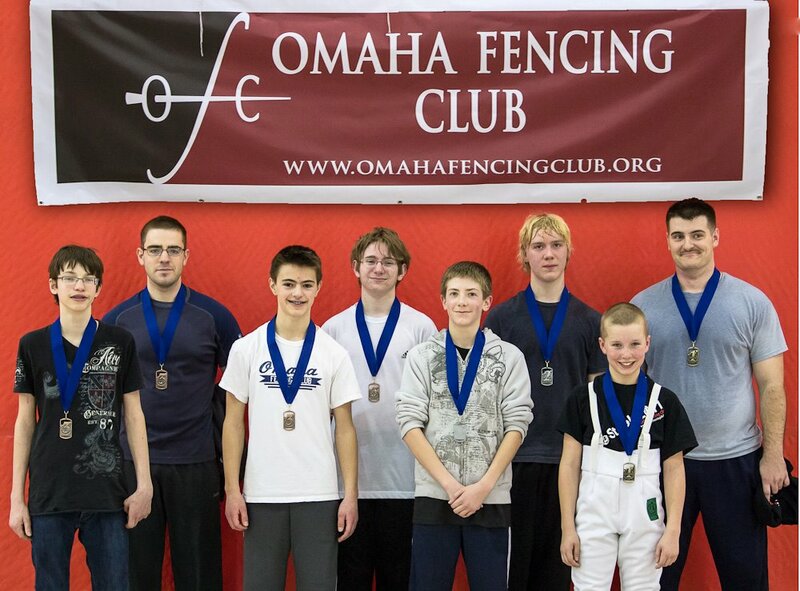 They are then placed in a round-robin group of 5-7 fencers. Everyone within the pool group will fence each other to 5 points or 3 minutes of fencing time, whichever occurs first. After pools are finished, we move on to direct elimination (DE) bouts. Based on your score against other fencers in the round of pools, competitors are seeded into a single elimination bracket. In a DE bout, competitors will fence up to 15 points, or three rounds of three minutes. There is a one minute break in between each three minute round for fencers to rest and strategize for the next period. For Y10 events, fencers will go to best two out of three bouts of 5 points or 3 minutes fencing time. The winner of a DE bout will continue on the tableau, and the opponent is knocked out of the bracket. We highly encourage everyone to stick around to watch more fencing, and cheer on your classmates! The top 4 finishers will be awarded medals for their participation and excellence in the event.